This week Germany’s 64th station was inaugurated a the SHELL station in front of the Hannover Fairgrounds; the fifth in Lower Saxony joining Wolfsburg, Osnabrück, Kassel, Bremen, Stuhr and Hamburg. With a capacity of around 200 kilograms of hydrogen 40 to 50 vehicles can refill a day. In Germany, 17 public hydrogen refueling stations went into operation in 2018. Japan clocked 96 public gas stations in 2018 and and USA 42 public gas stations. 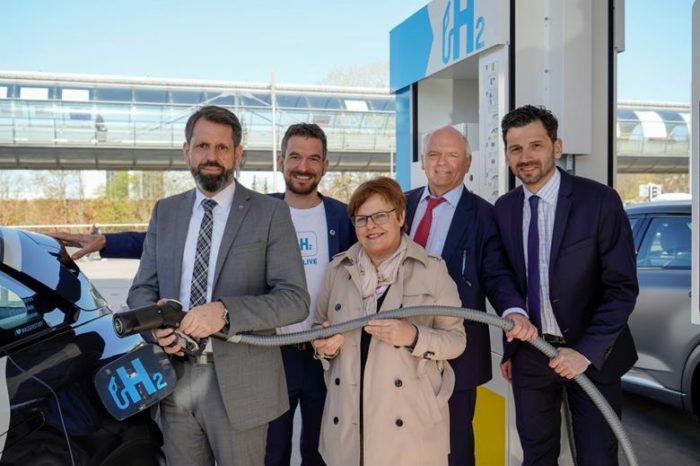 A total of 48 public hydrogen refueling stations were put into operation worldwide last year according to H2stations.org, a website of Ludwig-Bölkow-Systemtechnik (LBST) and TÜV SÜD. and what did the lady say?